Big Stick is an ongoing project taken throughout 2018. It has been exhibited for Liverpool Independents Biennial 2018 and at the Liverpool Tate. Limited edition prints from the project are held in collections in the UK and Canada. Please see accompanying text below for full description. 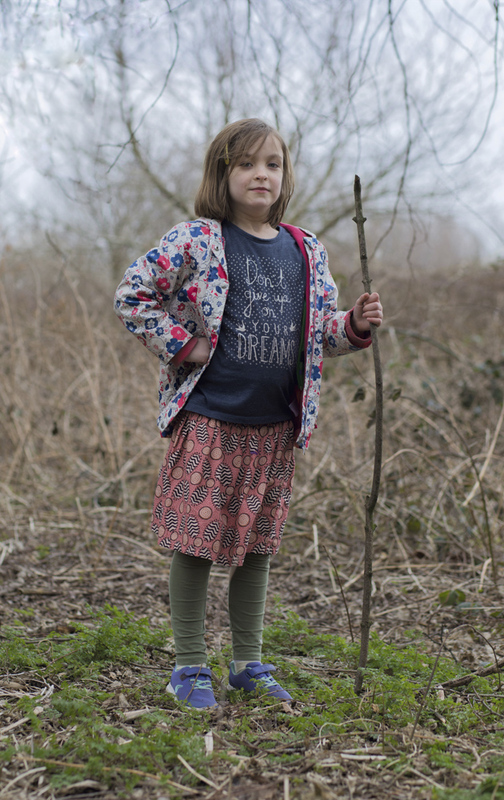 Big Stick is inspired by the way young children will always furnish themselves with a large stick the moment they enter a wood (and usually insist on taking it home with them). I was intrigued as to why my own children always spontaneously did this, and it seemed to strike a chord with others, either as parents or from memories of their own childhood. Children’s fascination with sticks, yet unfettered by social norms and teenage pressures, gives us a tiny window of insight into our prehistoric selves. Humans have existed for around 250-300,000 years, but only for the last 5-8000 years have we been civilised, increasingly urbanised and formed societies as we know them. For the huge majority of our existence as a species, a hefty stick would have been vital to our day-to-day survival - we would be powerless without some form of tool. For defence and hunting, to clearing a path or foraging, it would be as essential as a smartphone is today (well almost). You can even play games with one…. Maybe this is why children are drawn to pick up a large lump of wood. Is it something innate to us as feeble humans? Do we subconsciously know we are perilously lacking in the tooth and claw department, and our brains have evolved to counter this by always grabbing the nearest tool or weapon? Perhaps children are yet to learn to override this instinct, the deep prehistoric depths of their minds remembering very real monsters that stalked in the woods? But then again there’s always the chance that maybe, just maybe, it’s simply fun having as large a stick as you can lay your hands on to bash nettles with in a forest. Each child was asked to pose naturally with their stick, with minimal direction, thinking about why they had picked it up, how it made them feel and what it could be used for. Once they had settled down and got over the initial nerves and giggles, little glimpses of their personalities began to show through. Some almost hid behind their stick, some had an outward bravado betrayed by a slightly unsure smile or overly large stick, and some stood there with quiet confidence shining through. The children were all aged between five and nine years old. As they move out of early childhood, they start to experience life on their own for the first time and realise there’s a whole world out there. They start to understand and face basic notions of power and hierarchy amongst themselves, their peers and the adults around them.